Why the heck is it called the “Stopover” festival, you ask? For more than a decade, hundreds and hundreds of bands have descended on Austin, Texas to take part in their annual South X Southwest Festival. 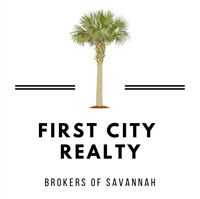 Savannah is perfectly positioned on Interstate 95 en route to Austin from all points on the Eastern Seaboard. Hence Savannah makes a perfect “stopover” gig for bands on their way heading to Austin. 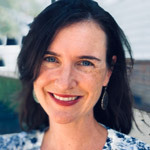 Taking advantage of venues across the city, the Stopover festival staff host more than 75 indie, folk and rock bands for gigs in just 3 short days. The breadth of this accomplishment is truly breathtaking, and there is without question a band for every taste. Highlights this year include Atlanta’s Deerhunter, New Zealand’s The Beths, and Nashville’s Andrew Combs. The full lineup will be posted on January 17, so check it out here and get your tickets early! It’s hard to believe that the Savannah Music Festival is celebrating its 30th year! The Savannah Music Festival is truly a world-class celebration of music from nearly every genre of the craft. What was once a one-week event has now evolved into a yearlong celebration of music through concerts, lectures, secondary school competitions and more. All of this is capped off each spring with a rousing 2 weeks of non-stop concerts at venues all over downtown. 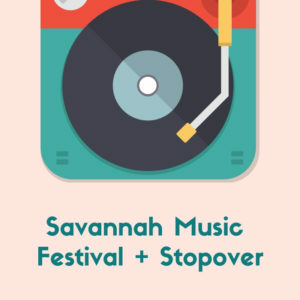 From classical and jazz, to folk, country and rock and roll, the Savannah Music festival is not to be missed, and it presents an excellent reason for out-of-towners to come and join in the revelry. Highlights this year include Jeff Tweedy, Maceo Parker, The Punch Brothers, Asleep at the Wheel and so many, many more. Check out their lineup here, buy your tickets early, and prepare for a springtime of music in Savannah that you’ll never forget.